In the last few years, driven by rising labor costs, the need for diversification, and the government’s focus shifting from labor-intensive sectors to high-tech industries, Chinese as well as foreign firms operating in China have slowly shifted their manufacturing activities to Southeast Asia, especially Vietnam. In addition to these factors, the escalating trade war between the US and China that has already seen additional duties being imposed on US$50 billion worth of goods, accelerated the trend of foreign investors realigning their supply chains. 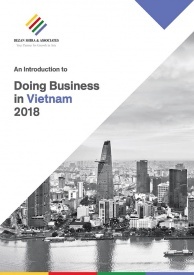 Due to its geographic proximity, lower wages, skilled labor, trade agreements, and regional connectivity, Vietnam has emerged as one of the most preferred alternatives for manufacturers. The Vietnamese government had anticipated that due to higher tariffs on Chinese products, the manufacturers may try to reroute goods through Vietnam in the short term to maintain exports. Hence, the government has taken several steps to ensure the origin of imported and exported products. For example, Decree No. 31/2018/ND-CP which is in effect since March 2018, supplements new regulations related to the origin of exported goods and imported goods. Due to product origin issues, the US government in March 2018 hiked tariffs on steel products from Vietnam that originated from China. This proves that Chinese exporters may use Vietnam to reroute goods in the short term, but it is not recommended. Rather than doing so, they should focus on other long-term risk mitigating strategies to minimize their exposure to the ongoing trade disputes. Manufacturers based in China can minimize risk by moving to other cost-effective locations in Southeast Asia, including Vietnam. This would require finding new suppliers, renegotiating contracts, and moving assets which will be time-consuming and costly. In the short term, companies can add new suppliers and apply tariff engineering strategies if possible to mitigate trade risks. Before considering moving out of China, firms need to closely review the tariffs and ensure correct HS code classification for their products. In addition, they also need to focus on customs valuation to determine the value of imported goods. This will not only help in correctly determining the increased cost but also provides an opportunity to employ tariff engineering strategies. The US importers need to work closely with suppliers to ensure the accuracy of the origin of their products, especially with tier-2 and tier-3 suppliers. This will assist them in not only verifying the country of origin but also in diversifying the supply chain to reduce exposure. A geographically diversified supplier base will also help companies in managing risks such as inflation and currency fluctuations. They can either diversify a part of their supply chain or completely redesign it based on the availability of similar suppliers in the region and cost. Manufacturers can move their entire manufacturing operations or a part of it to a third country, which is not facing higher tariffs. In the short-term, they can move a part of their manufacturing process to a third country, which will change the HS code classification of the semi-finished goods produced in China and may attract lower tariffs. Eventually, they need to focus on completely relocating their production lines to a third country, such as Vietnam. Already in the last few years, major electronics firms such as Intel, Foxconn, LG, and Samsung have moved to Vietnam due to higher wages in China. In addition, several retail brands such as Nike, Adidas, and Puma have also shifted to Vietnam and Cambodia to reduce costs. The ongoing trade war will continue to accelerate this trend. In addition to its geographic proximity, Vietnam offers several advantages for manufacturers planning to move outside China. Vietnam’s average wages are much lower than that of China, which has grown steadily in the last few years. Wages are slightly more than half of those in southeast China. Labor quality along with young demographics offers manufacturers a stable workforce. Vietnam is part of several Free Trade Agreements (FTA), which gives it a competitive advantage compared to other countries in the region. It is not only part of the FTAs as a member of ASEAN but is also party to major bilateral agreements. 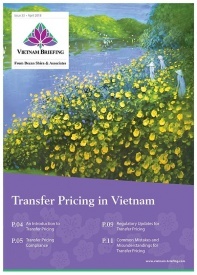 The two recent FTA’s currently under review are the EU Vietnam FTA and the Comprehensive and Progressive Agreement for Trans-Pacific Partnership (CPTPP). Due to its common border, both countries have established several China-Vietnam trade zones, such as the Longbang-Tra Linh trade zone and the Guangxi Pingxiang Integrated free trade zone along the borders. Further trade zones are planned near the border as they are close to Chinese manufacturing hubs in Guangdong province and the Yangtze River Delta. Vietnam, located along major global shipping routes, has 44 seaports as of 2017 with a total capacity of 470-500 million tons per year. Although the Chinese port capacities are much higher, the Vietnamese government has started to invest billions in new ports and increasing the capacity of existing ones. Major ports include Hai Phong, Danang, Qui Nhon, and Ho Chi Minh City. Future ports under development include My Thuy International Seaport, Lien Chieu Seaport, and Lach Huyen International Gateway Port. Due to its common border, rail and road connectivity between China and Vietnam is a key component of the bilateral trade between the two countries. Railway lines between Kunming – Hai Phong and Nanchang City-Hanoi, along with the Kunming-Hai Phong Transport Corridor, which is already in operation, will further increase connectivity between the two nations. Going forward, Vietnam will continue to attract labor-intensive sectors from China due to its lower wages and existing infrastructure capabilities. However, it needs to focus on further developing its supply chains, supporting industries, and export infrastructure to attract the big-ticket investors who are looking for alternative sources and locations for manufacturing.